Human Resources involvement, policies and procedures are building blocks that make an organization hum. But the harmony can be tricky to achieve. Rebecca Mazin formed Recruit Right with 20 years of experience to create usable solutions for employers to meet increasingly complicated human resource challenges, and keep things humming. co-authored The HR Answer Book: An Indispensable Guide for Managers and Human Resources Professionals., and is the author of First Time Firing and The Employee Benefits Answer Book: An Indispensable Guide for Managers and Business Owners. You'll find her advice and commentary in business publications, industry and trade journals and can keep up to date by following Rebecca on Twitter @thehranswer and reading her AllBusiness expert articles. Before Recruit Right, Rebecca held key management positions at major organizations. Experience with Millennium Hotels and Hyatt Hotels Corporation built on work at Owens Corning and for the Federal Government at the National Labor Relations Board. Rebecca is a graduate of Cornell University with a degree in Labor Relations. She is an Everything DiSC Certified Trainer and Authorized Training Partner for the Five Behaviors of a Cohesive Team, an exciting new program developed by Wiley with Patrick Lencioni. Rebecca calls on her HR skills as a community volunteer where she likes to step out of her comfort zone to lend a hand in situations that make a difference. 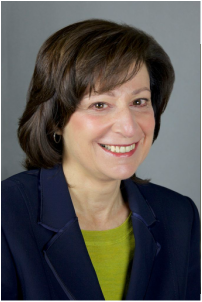 She has held board positions with The Junior League of Westchester on the Sound and currently serves on the board of Furniture Sharehouse, Westchester’s Furniture Bank.